Establishment of new legal precedent to aid school violence victims nationwide. Mr. Fierberg founded the national litigation group, Schools: Violence, Misconduct, and Safety, which operates within and under the authority of the American Association for Justice. Mr. Fierberg is past President of the National Advisory Board of the National Crime Victim Bar Association. Mr. Fierberg was lead counsel for twenty families whose loved ones died or suffered catastrophic injuries as a result of the April 2007 massacre at Virginia Tech University, which resulted in a historic settlement with the Commonwealth of Virginia valued at more than $11 Million. He continues to serve as counsel for the VTV Family Outreach Foundation established by the settlement. Licensed in the District of Columbia, Maryland, and Michigan. 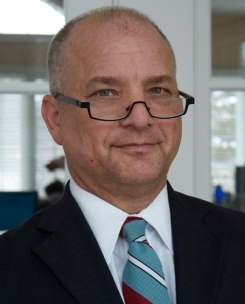 Mr. Fierberg often lectures to professional legal associations, victims advocacy organizations, and universities on legal issues related to school violence and victims’ rights. His most recent lectures include: National Center for Victims of Crime, Third Party Liability in Cases of Sexual Violence and Other Deadly Misconduct in Schools (December 2015); Harvard Law School; Gender Violence, Law and Social Justice, Litigating Against Fraternities, Schools and Students in Cases of Sexual Violence, Hazing and Other Deadly Misconduct (March 2015).